﻿ Is Your “Core Competency” Really Core? 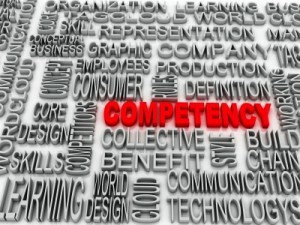 Home | Blog | General, Lead | Is Your “Core Competency” Really Core? Discerning what’s really core; and how to make your customers more core to your competencies! c) It has to be difficult for competitors to imitate. Many people are confused between their company’s core competency and the core product. Core competency is a capability, whereas core product is an output. A core competency is usually made up of several different competencies combined together, and that core competency must be present to successfully develop the company’s core product. To qualify as a core product, it should be something that the company can leverage or build upon to create various end products for different markets including new niches. Examples of core products include the Windows Operating System (OS) by Microsoft, and the Macintosh computer by Apple. The Windows OS (core product) has birthed many different versions of Windows such as NT, ME, XP and Vista, and more recently Windows 8 (end products), which are targeted at the different market segments of corporate and home users. Similarly, the Macintosh computer (core product) has already spawned the iMac, Mac Mini, Mac Pro and MacBook Air (end products) for various segments of end-users. Why is it important to correctly identify our company’s core competency? It is not only because we want to be able to optimize what’s crucial for our company’s success and long-term viability, but also because we don’t want to invest valuable resources on what is not our core competency. First of all, observe what it does for our clients or customers. The core competency must be a substantial part of the end product, but not the end product itself. Remember, the core competency and the core product have to be distinct from each other, i.e. mutually exclusive. For example, Casio’s core competency lies in their capability for miniaturization. The capability to build in miniaturization of digital functionality is closely tied in with Casio’s end products such as digital watches and calculators. Another requirement of core competency, as per Prahalad and Hamel, is the ability to leverage myriad products and markets. There must be potential access to all levels of the business strata, in that the core competency of your company is dynamic enough to be capable of evolving and developing along with the market. It must be able to offer both novel as well as unique products and services. To do otherwise is to fail in your core competency. If we take the example of a company whose core competency is the delivery of management training, we should ask ourselves: Is the company able to provide new and varied forms of training? Does the training itself apply only to a specified area of the business strata or does it apply across board to all levels? Can the training actually evolve into another product? Is it now possible for you to train entry-level employees instead of just management? Can the training itself evolve into a different product, such as offering packages where work placement is available after training? In other words, your core competency should be able to provide your company with a sustainable competitive edge, creating value-based processes, positions and products that are not easily imitable. Next, we have to look at the competition. Prahalad and Hamel stipulate that a core competency should be hard for competitors to imitate. So we should look at just how unique our core competency is. Again, it is essential to ensure that the end product is not mistaken for the core competency – Shakespeare wrote great plays, but his core competency was the ability to dramatize these plays. There were a lot of playwrights during his time but none of them were anywhere near his calibre. His talent was unique; particular only to himself, and not even Francis Bacon was able to imitate them. In the same way, if management training is our company’s core competency, then it should be of such a calibre that our immediate competitors are unable to imitate them effectively. We may have the best trainers delivering the best programmes in the most technologically advanced and conducive environment possible, but these are in themselves competencies which aggregate towards our company’s core competency. Our competitors may not have access to all these competencies and as such will not be able to imitate our core competency to good effect; they may have some of these competencies in which case their core competency now forms in a different way from our company’s. Is the concept of core competency outdated today or does it need to be viewed from a different perspective? According to Professor Prabir Kumar B., core competency is an idea of the past. In India, when a particular business becomes profitable, big corporations – even those without a background in that business – would jump on the bandwagon by hiring the right professionals from other organizations. Thus Kumar opines that core competency in today’s business world means identifying a business opportunity and then acquiring the necessary capability or expertise to manage the relevant resources. What do you think? Michael Schrage, a research fellow at MIT Sloan School’s Centre for Digital Business and Imperial College (London School of Business), cautions that core competencies should begin with the desired and desirable customer experience, instead of beginning with the cultivation of proprietary or inimitable internal expertise. Schrage hastens to add that he is not referring to customer-centricity. Instead, the main point is that we should be re-thinking and re-architecting how we can empower customers or clients to add value to our core competencies – however broadly or rigorously we define them. Core competencies should be platforms for our customers and customer-sensitive suppliers to collaborate, rather than for proprietary silos of exclusive expertise. Thus we should learn how to externalize our core competencies by getting our best customers to willingly and innovatively re-engineer themselves around our core competencies in ways that enhance both parties. In the words of Schrage: Let’s make more customers more core to our competencies! Stranded, Not Shaken but Stirred!